The DoorShield gives unrivalled long-term-flood protection because it works with water, not against it. The design and materials in the DoorShield make it the most effective and long-lasting domestic flood barrier on the UK market. 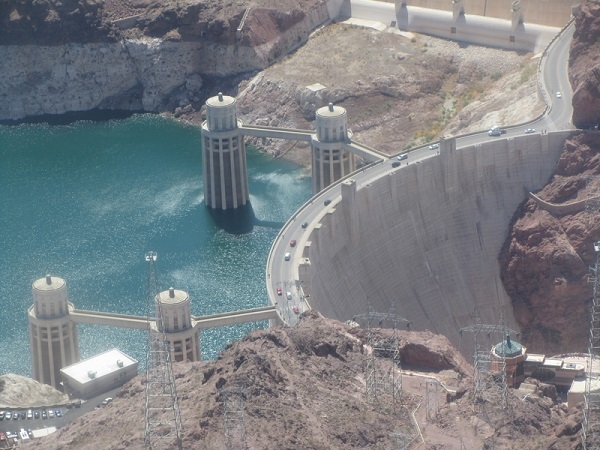 The DoorShield’s patented design is based on the arch dam principle. As the flood level increases, the pressure of the water against the unit (hydrostatic pressure) increases. This reinforces and strengthens the structure, and presses it closer to the building. The force of the water is therefore used to compress the seals and improve their performance. This all means that as the water level rises, the DoorShield's performance improves to meet the extra force. Flat barriers don’t do this. Water pressure will tend to ‘bow’ the unit inwards in the centre. This actually pulls the seals and fixings away from the wall as well as risking that the whole unit breaks. Either way, a flat barrier works less well as the water pressure increases, the DoorShield works better. When the DoorShield was independently tested it was reported that ‘there was no observable deformation in the product’. In plain English that means the unit did not bend at all under the rigorous test conditions, even when the water was at the maximum level. The specific shape of the DoorShield helps strengthen the unit, steer water around it and protect it from impact. A rib provides ex tra strength. This is a standard product design principle (read more here). A rib allows some movement and flexibility which improves the product’s strength by absorbing force. Uniquely the rib is inverted (it sticks in, not out). This patented feature, together with the carefully designed shape, help to harness and steer flowing water passing across the unit. 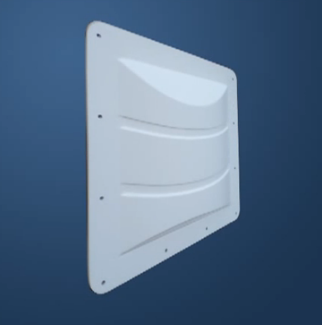 The DoorShield's shape draws on design techniques used in the construction of boat hulls and aeroplane wings. The force of the water flow helps to press the unit against the masonry (improving the effectiveness of the seals again). Steering water around the unit also lessens the risk of impact of waterborne debris. The fibreglass and seals in the DoorShield are sourced from the marine industry. Who knows more about keeping water out, after all? 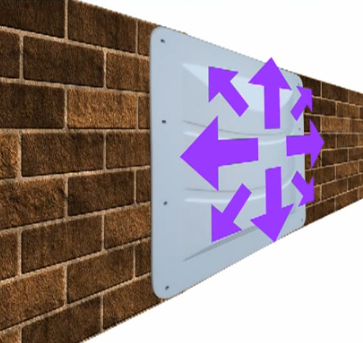 While the shape of the DoorShield helps steer debris around the unit, there is always the risk of forceful, direct impact. 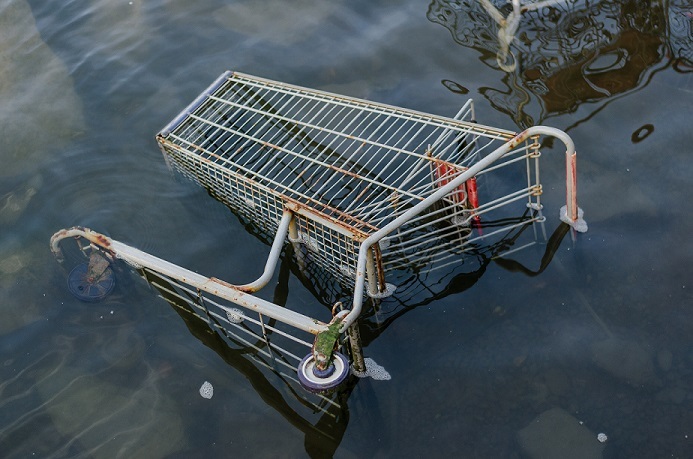 Fast flowing flood waters can carry large branches, supermarket trolleys and even cars! The DoorShield is the thickest and strongest fibreglass flood barrier on the UK domestic market. Independent flood testing focuses on water not debris impact. So we invented our own test. 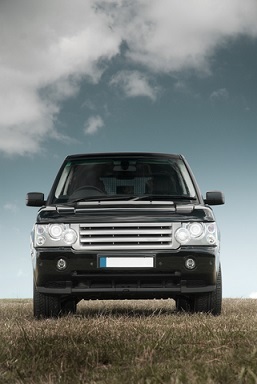 We drove a Landrover Discovery (weighing 2 tonnes) right over a DoorShield. The result? Not even a crack. Each DoorShield unit has a double set of high performance, long-life rubber seals. These ensure an excellent seal against the masonry of your home. The seals are made by Delta Rubber – the marine industry specialists. To make the unit effective and waterproof you only really need one seal. That’s because these are high performance, durable seals. But we want the unit to last and last. So we fitted two. If one set becomes damaged or compromised there is a duplicate length of seal right around the unit. 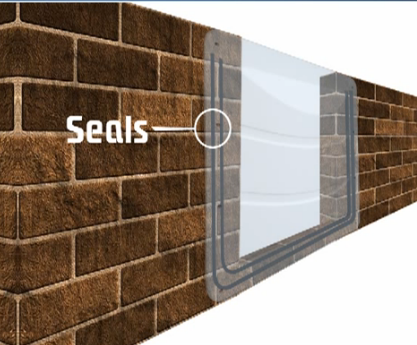 To help protect the seals when the unit is not in use we provide a protective case to keep the DoorShield in. So after using the DoorShield just hose it down to remove any mud or grit, let it dry and store it away in the case. Keep the fitting toolkit in the case too, so everything is to hand when you need it next. In addition to the quality and strength of the materials in the DoorShield, its overall design simplicity adds years to its life. It is a single piece of fibreglass with no complicated clips, frames or fit-together parts. That means there are very few potential points of failure. So even if you need to use your DoorShield several times a year it will give many years of protection for your home. Whatever the floods throw against it.